Patients suffering from sleep apnea experience intervals during which breathing stops and starts again while they are sleeping. This condition can have deadly side effects. 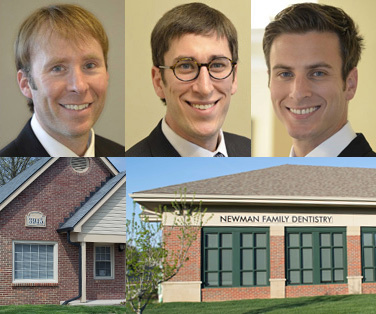 At Newman Family Dentistry, Dr. Marc uses an effective and non-invasive method to provide patients with sleep apnea therapy in Indianapolis, Carmel, and surrounding areas. Click here for a FREE SLEEP APNEA CONSULTATION with Dr. Marc. Fran is just one of our many patients whose life has changed signficantly becuase of her oral appliance. If you have any of these symptoms and are concerned, please call for a free sleep apnea/snoring consultation. 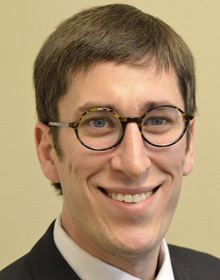 Dr. Marc will work closely with your physician to ensure your comfort of care. Sleep Apnea is diagnosed by a physician, ENT, or sleep physician. A sleep test is required in order to make a diagnosis. Typically a polysomnograph test, the most comprehensive type of sleep test, is recommended and done at a sleep center or sleep lab. Recently, home testing has become approved by the American Academy of Sleep Medicine for the diagnosis of Obstructive Sleep Apnea. There is much debate in the medical community about which type of test is the most preferable, so Dr. Marc works closely with you and your physician to determine the most appropriate test. At Newman Family Dentistry, we have the ability and credentials to offer a home sleep test for your convenience. Dr. Marc will work closely with you and your physician to help guide you to a long and healthy life! Sleep Apnea can lead to serious health issues. We can provide effective and proper treatment. Contact us today for a consultation. How is Sleep Apena or Snoring Treated? Oral appliance therapy for sleep apnea utilizes an oral appliance to adjust the position of your jaw and mouth and keep the airway in your throat unobstructed and opened. While there are some over-the-counter dental devices available, a custom-made appliance is typically more comfortable and treats the sleep apnea problem more effectively. An office visit to measure you for your custom oral appliance is the first step, followed by additional visits to ensure correct fit and effectiveness of the device. Correct and consistent use of sleep apnea therapy can often eliminate the need for C-PAP in cases of mild and moderate sleep apnea; in severe cases, an oral appliance can help C-PAP operate more effectively. Newman Family Dentistry has joined with Dental Sleep Solutions® to undergo specific training on how to treat snoring and sleep apnea using state-of-the-art, FDA approved dental sleep devices. If you, or someoneyou know, is suffering with snoring or sleep apnea and would like more information about how we can help using oral appliance therapy, call or request an appointment (clickable link) for your complimentary consultation. You may also visit Dental Sleep Solutions® for more information.